Today's project is just gorgeous, isn't it? 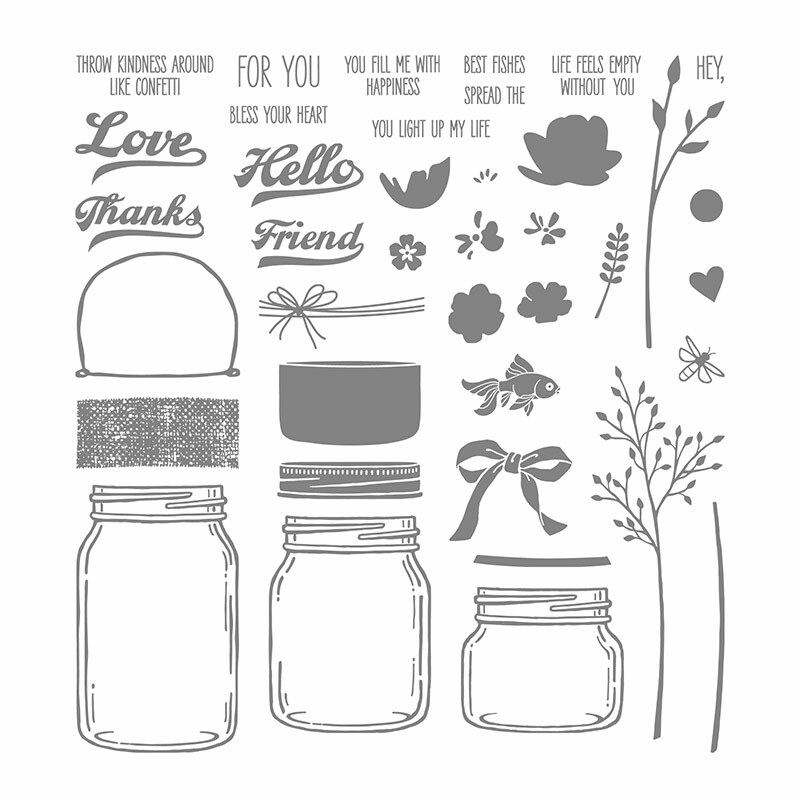 Like all the projects I've shared recently this is from the Stampin' Up! Annual Catalogue (page74/75) and is so easy to recreate. 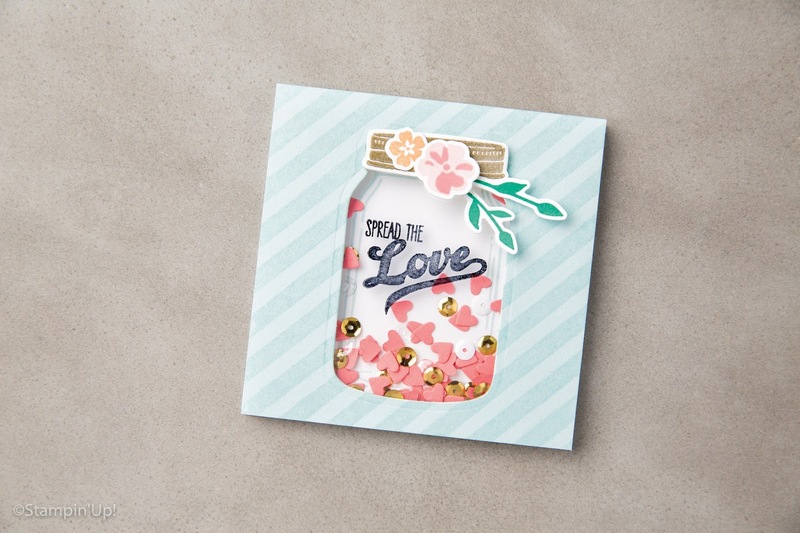 All you need to make these Shaker Cards are some Window Sheets, some sequins and/or punched pieces, and the stamp set and dies of your choice. 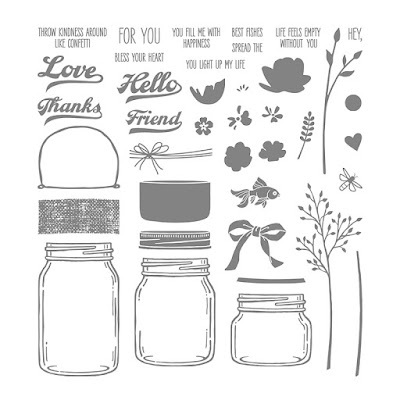 In this case the stamp set used is Jar of Love and the matching Everyday Jars Framelits Dies - these are available individually, or together (saving 10%) as a bundle. Don't forget you'll need a Big Shot to be able to run the dies through. I adore this stamp set - so versatile - and you get a lot of stamps for your money; there are 37 photopolymer stamps in this set in total. Perfect for those Autumnal greetings cards. You can shop the Official Stampin' Up! shop by clicking on any of the highlighted words in this article, or by using the Shop Now button at the top of this page. 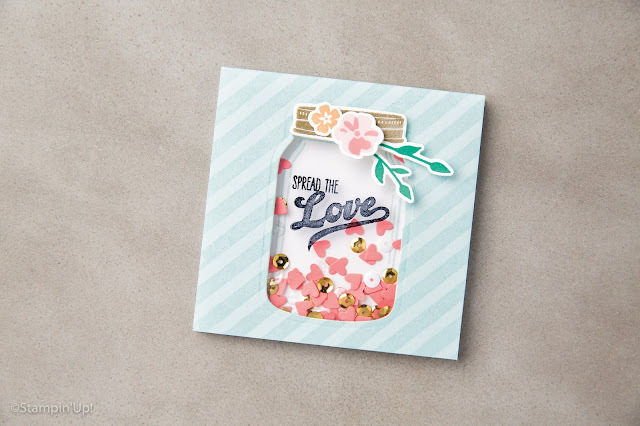 The shop is secure and you can buy Stampin' Up! products 24 hours a day, 365 days of the year. Fantastic.